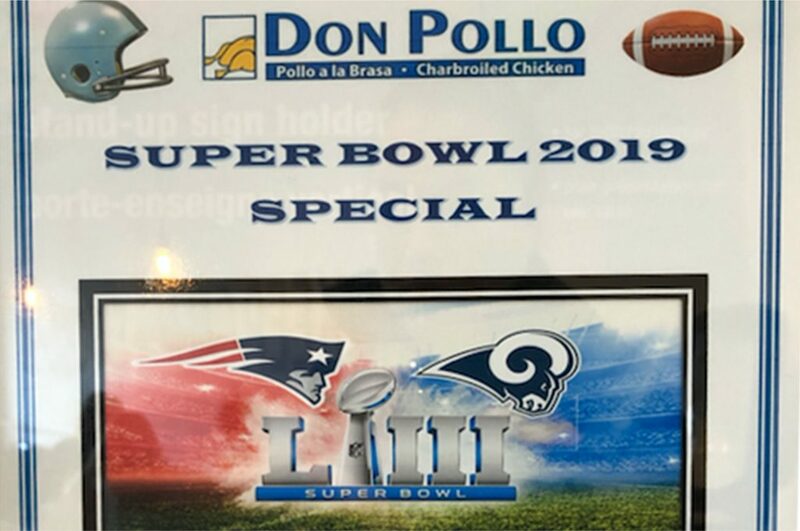 Super Bowl LIII is quickly approaching as the Patriots take on the Rams on Sunday, February 3 at 6:30 p.m.
We all know Super Bowl Sunday is where new year’s resolutions are forgotten. Or maybe that’s just my junk food loving heart talking. If you are thinking of hosting a party this Sunday, I have some great take-out options to help make it easier. 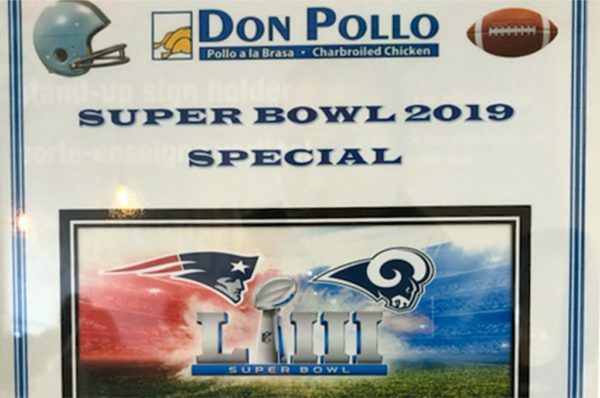 Don Pollo — The Vienna Charcoal chicken newcomer is offering a free chicken with any Fiesta Family Platter. Taco Bamba in Vienna — Is taking catering requests by Thursday, 1/31 for their wings, nachos, tacos and all of their other goodies. Foster’s Grill — For wings, order ahead of time or they WILL sell out. Santini’s — In Oakton or McLean for pizza, party subs and their other decadent food. Open Road — In Merrifield has platters for wings or chicken bites with pre-order. Bonchon — In Fairfax or Arlington for some of the most delicious wings that exist. Founding Farmers — To go catering where you can order off the full menu. Liberty BBQ — In Falls Church, offering Super Bowl specials on their BBQ meat, wings, sides and desserts. Must pre-order and pick up on Friday. Rocco’s — In McLean for pizza or wings. O’Malley’s Pub — In McLean for wings. 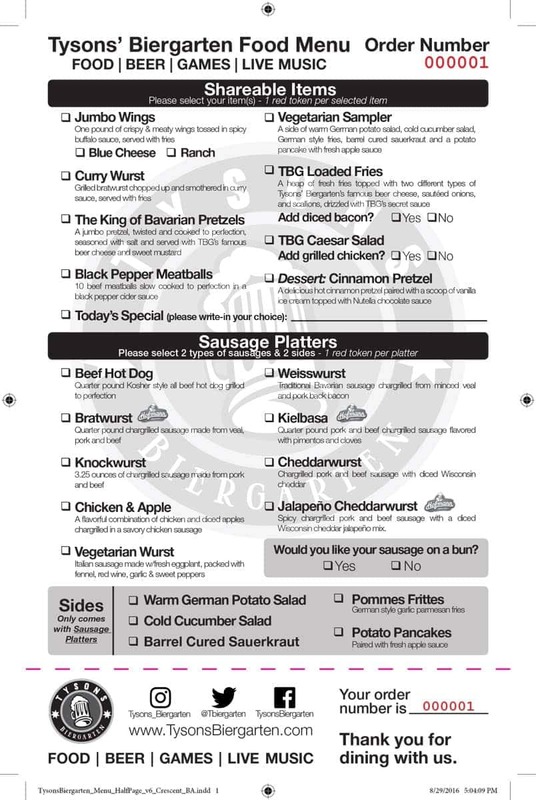 Check out Tyson’s Biergarten if you would rather go out to watch the game. They have a long list of beer and food.